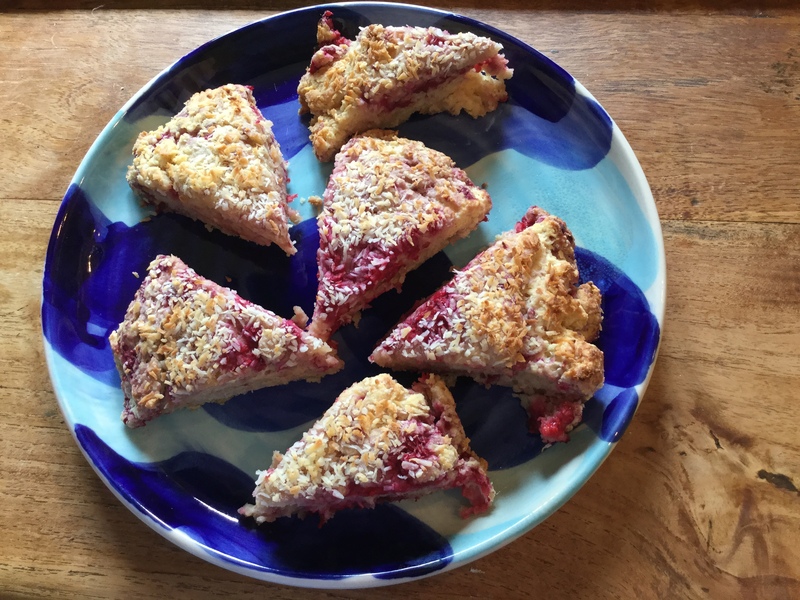 If we were having coffee…or even a cup of tea, we would be sipping some Earl Grey Blue Flower…and eating some freshly baked raspberry scones. If we were having coffee…or even a cup of tea…I would tell you that I haven’t really done anything on my list of things for 2017, and that it was April already. You point out to me that I was sick for a couple of weeks, had a holiday and a weekend away, have been to the ballet, have in fact done a lot of things so I shouldn’t be so despondent. And of course you are right, and it is ONLY April! If we were having coffee…or even a cup of tea…we would do our best to not discuss the news, but did touch upon whether Scotland will become independent should another referendum be held. If we were having coffee…or even a cup of tea…we would both say how we were looking forward to the long Easter weekend. We would talk about holiday plans in general, and how taking a break and getting away from it all is so important. If we were having coffee…or even a cup of tea…we would talk about nothing and everything, from Charlie the Cat to ballet performances (a later post) to the weather, which is wet and grey (and not sunny like in the old picture below). Desiccated coconut to dust on the top. Preheat oven to 175C. Line baking tray and lightly dust with flour. In a large bowl, combine flour, sugar and baking powder. Add butter and rub through dry mixture until a coarse crumb forms. Add raspberries and mix until evenly distributed. Whisk together egg and milk, and dd to dry mixture and stir until combined and sticky. Turn dough onto baking tray and shape into a round loaf (approximately 2.5cm thick). Cut into wedges with sharp knife. This is so much easier than cutting out circles, and gives a nice shape to the scone. Dust the tops of the scones with as much coconut as you desire. Bake for 20-25 minutes or until lightly golden. Transfer to plate and serve while still warm. Recipe adapted from NZGirl, which also had white chocolate chips.